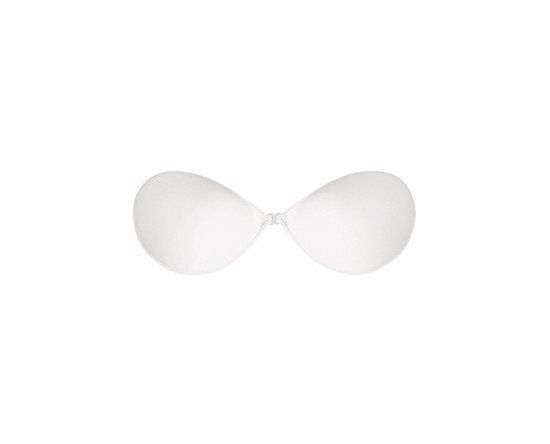 Light self-adhesive bra providing natural shape and support without obtrusive straps found on traditional bras. Front fastening. Completely backless and strapless. Cups overlayed with smooth fabric and coated on the inside with adhesive for a secure fit. Allows you to create a fantastic cleavage and gives perfect coverage and lift. Available in three colours: white, black and beige.